Most people have a strong desire to make wise financial decisions regardless of their stage in life. Life gets hectic, and financial decisions may not get the attention they deserve. Making financial decisions can seem overwhelming knowing mistakes can be costly and painful. As you approach or suddenly find yourself experiencing a key life event (retirement, death of loved one, marriage or divorce, etc. ), you may especially find yourself desiring professional financial guidance. If this resonates, there is a growing community of Certified Professional Planners™ (CFP® professionals) hoping to meet you so they can help. Who is a CFP® professional? 1.) Educated in the financial planning process through a curriculum approved by the CFP Board. 2.) Exam which tests the ability to integrate and apply this knowledge. 3.) 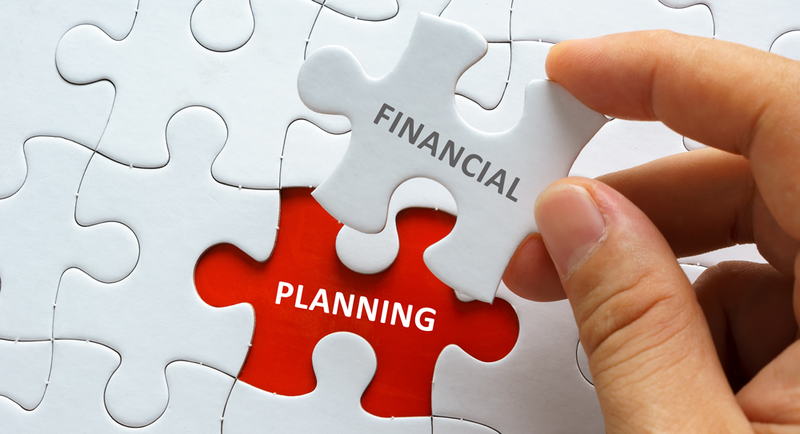 Experience using the financial planning process. 4.) Ethics - a CFP® professional must voluntarily ascribe to CFP Board’s code of ethics. How can a CFP® professional help me? A CFP® professional will actively listen to your needs. For example, if you are planning for retirement, a CFP® professional will want to understand your expectations and concerns for retirement. A CFP® professional will need to gather information about how you are currently positioned (assets, liabilities, investments, income, taxes, insurance, and estate planning). A CFP® professional will walk you through a planning process to identify strategies and opportunities that serve as a framework to help you meet your goals with intention. As this plan is developed and progress is made, perhaps the only certainty is that life will change. So a CFP® professional cannot do this planning without monitoring and regularly reviewing the plan. A CFP® professional can provide independent advice, accountability and discipline. How do I hire a CFP® professional? The relationship with a CFP® professional is an intimate one. Both you and the CFP® professional should be prepared to invest time in this exploratory stage so that a good decision is made. Research using the web. Ask friends and family for a referral. Interview various CFP® professionals and pay attention to who you experience a connection with. why the CFP® professional chose and chooses to stay in the profession. how the business a CFP® professional is working in is structured. how the CFP® professional gets paid. what the relationship with you will look like - types and frequency of communication; transparency and honesty; accessibility and responsiveness. where you can find a disclosure document that provides details of the business. if there are current clients you can talk with. A CFP® professional should serve as a fiduciary looking out for your best interest. The relational aspect of working with a CFP® professional is key for success. There should be no cost or risk associated with interviewing a CFP® professional, so consider scheduling a meeting to increase your financial awareness and confidence. Stephanie Willison, CPA/PFS, CFP® is a Partner with Treybourne Wealth Planners in Greenwood, IN. She is a member of the American Institute of CPAs (AICPA), the Indiana CPA Society and the Financial Planning Association (FPA).